Ideal for baking, adding to cupcakes, icing, sweets, drinks and ice-cream. 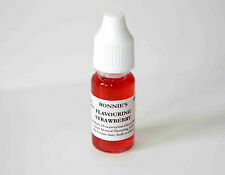 STRAWBERRY FLAVOURING. Ingredients: Strawberry Flavour, Propylene Glycol, Water, Flavouring E150c. Check-Out Now! We will do our best to resolve any issue you may have. Irish Cream Flavouring. Ingredients: Irish Cream Flavour, Propylene Glycol, Water, Flavouring, E150a. Ideal for baking, adding to cupcakes, icing, sweets, drinks and ice-cream. Adheres to cake with minimum fuss but full instructions provided. 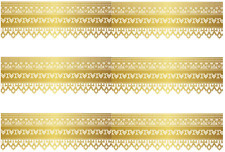 Each strip is 2.5” in height x 10” in width (30” of ribbon in total). Chocolate Flavouring. Ingredients: Chocolate Flavouring, Propylene Glycol, Water, E150c. Ideal for baking, adding to cupcakes, icing, sweets, drinks and ice-cream. Coconut Flavouring. Ingredients: Coconut Flavour, Propylene Glycol, Water, Flavouring. Ideal for baking, adding to cupcakes, icing, sweets, drinks and ice-cream. Toffee Flavouring. Ingredients: Toffee Flavour, Propylene Glycol, Flavouring. Ideal for baking, adding to cupcakes, icing, sweets, drinks and ice-cream. Set of 2, 10ml no waste dropper bottles. We will do our utmost to resolve any issue you may have. Produce deep, rich color with just a small amount using this fast mixing gel. Exclusive concentrated gel formula helps decorators achieve the exact shade desired without changing icing consistency. Peppermint Flavouring. Ideal for baking, adding to cupcakes, icing, sweets, drinks and ice-cream. Ingredients: Natural Peppermint Flavour, Propylene Glycol, Peppermint Oil. Sugarflair Food Colour Paste. 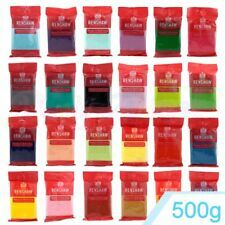 Choose any 6 from 57 edible colours. We will add a note to your order and get it sent out to you! We are here to help! Want to know more about Party Animal Online?. We have a page dedicated to who we are and what we do. 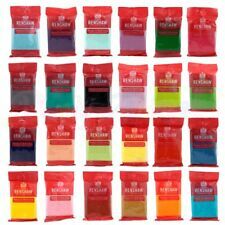 SET OF 19 EDIBLE LIQUID FLAVOURINGS. Ideal for baking, adding to cupcakes, icing, sweets, drinks and ice-cream. 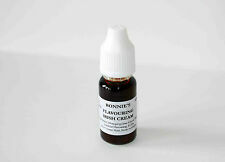 Flavouring Ingredients: Almond : Almond Flavouring, Propylene Glycol, Water, Flavouring. The comb features a flat side and three other sides with different teeth shapes (jaggeed, squares, and half round). 8 Icing Colors Set. 1/2 ounce jars of icing colors: Christmas Red, Lemon Yellow, Leaf Green, Sky Blue, Brown, Orange, Pink and Violet. Certified Kosher. This easy to use tool is the ideal way to add fantastic textured fondant ribbons, stripes and bows to your cake. Simply choose the cutting and embossing wheel design required slide in the washer, core, wheels and spacers on the roller handle and roll over the fondant. Choose a belt that is the right height and length for your baking pan. This Belt Suitable For. 3" x 9 -11 " Round. Ensures an even distribution of heat. To clean rinse in warm water. Marzipan by Renshaw. WHITE ALMOND MARZIPAN 1Kg. Allergy advice Contains nuts! Unsuitable for anyone with a nut allergy. Check out our YouTube channel (PartyAnimalOnline) for a 10-minute tutorial on covering your cake with Marzipan. Wilton Border Cutting Insert in Waves Pattern! NEW IN PACKAGE!